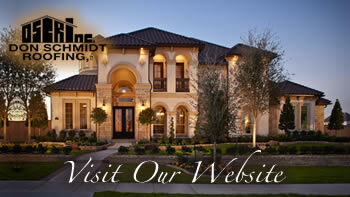 Home » Don Schmidt Roofing Blog » Watch out for Big Roofing Company. If you call a large-scale roofing company, they typically have a salesperson visit you and offer their advice, but the problem is that most of these salespeople have never even installed a roof with their own hands. They most likely sold other items in the past and are not very knowledgeable on roofs. Large roofing companies that charge for warranties and that are in months rather than years should put you on notice that is could be a scam. Large roofing companies that have many pages in their contracts with small print and disclosure clauses to initial are usually not standing behind much of anything. There are newer companies that offer ridiculous long-term warranties that are not credible. Companies that only began after the hurricanes are looking to cash in and commonly use pressure tactics or make you to make a quick decision before you have time to think things through. Remember if a deal is too good to be true it probably is. So, before you even think about hiring a different roofing contractor, whether it be for your business or your home, and you’re not sure what to do… Give us a call Don Schmidt Roofing would love to earn your trust and help you with your central Florida home/commercial roof repair or installation. Call us at 407.892.9884 today or contact us online at www.DonSchmidtRoofing.com. We are a local family owned business serving central Florida since 1988 and an Osceola county resident since 1959. Put your roofing project into the hands of a contractor you can trust.